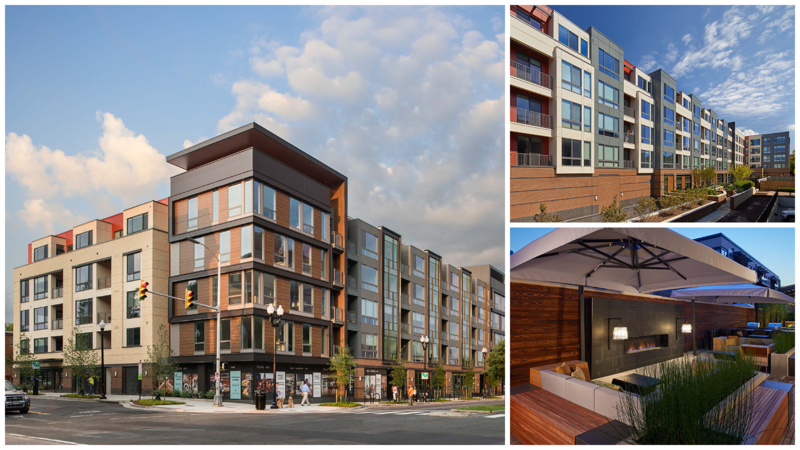 DESIGNArlington 2017 award recipients were recognized for projects including open space, public art, private home renovations, new construction, sustainable design and historic preservation. Our panel of distinguished judges for the 2017 program include: Dr. Elizbaeth Morton, Ph.D (Associate Professor of Practice, Urban Affairs and Planning, School of Public and International Affairs, Virginia Tech); Roxanne Edwards, Architect (McNeill Maker Design Associates); Bill Spack, Architect/Preservationist (Cox Graae + Spack Architects); Shawn M. Balon, ASLA, PLA (Career Discovery and Diversity Manager, American Society of Landscape Architects); Laurent Odde, Ph.D. (Program Manager, Art in Transit, Washington Metro Area Transit Authority). For more information, contact Brett Wallace 703-228-3525. 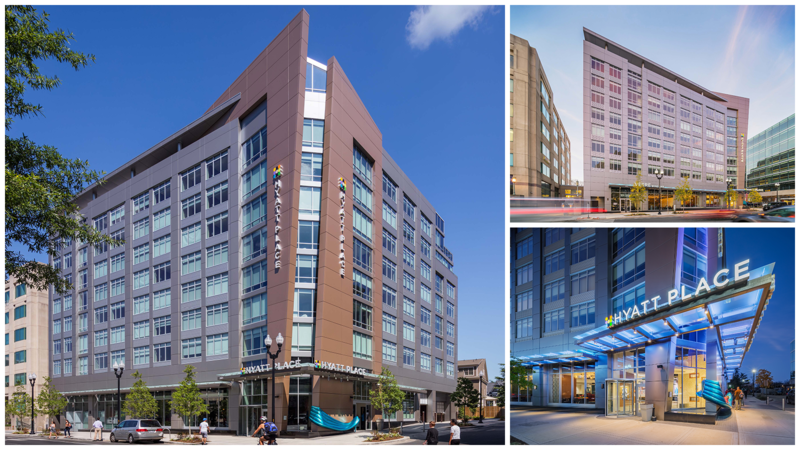 New Construction, Institutional/Civic: This dynamic new place to live, work, play and learn enhances the University’s visibility and identity in Ballston’s mixed-use community. The development extends pedestrian and bicycle circulation west of Glebe Road, new street-facing retail, and both indoor and outdoor spaces for specialized academic programs and social activities. Tellus – 2009 14th St. N.
Open Space/Landscape, Public Art, New Construction: The Tellus is one of the first approved new construction LEED Gold projects in Arlington, replacing a mid-rise structure at 2009 14th St. The vision for the new site landscape and associated mixed-use building is centered on the concept that human health and well-being are stronger when people connect with nature. 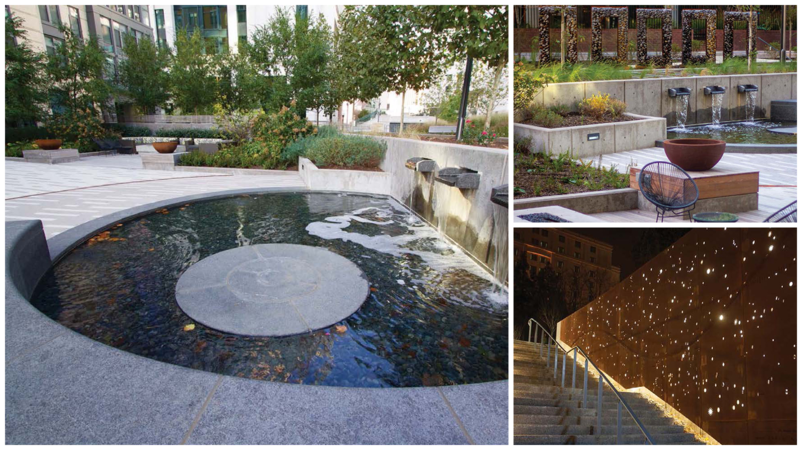 These sustainable and green-living principles transform the Courthouse neighborhood site into an urban oasis. 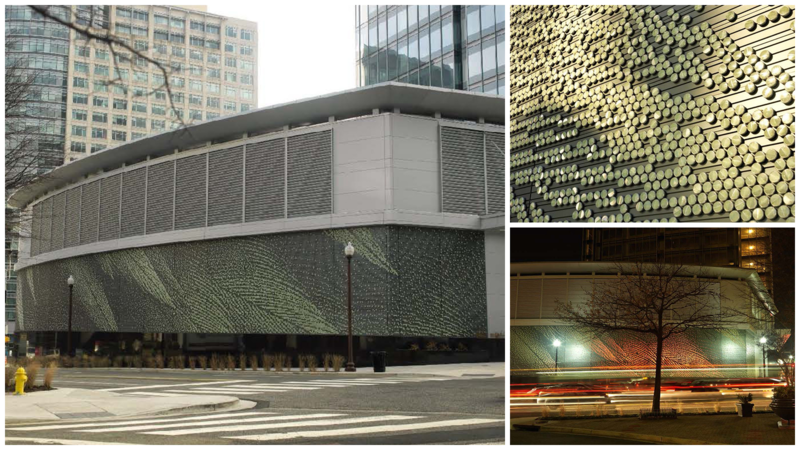 Public Art: Quill was commissioned as a re-skinning of the 1960s-style Dominion Substation in Rosslyn. The artwork consists of nearly 20,000 3 1/4-inch circular reflective discs arranged on a field of dark silver-coated aluminum panels to represent the pattern of bald eagle feathers. The artwork is a community benefit in conjunction with the construction of an adjacent 35-story building at 1812 N. Moore St.
Lyon Park House – 127 N. Edgewood St. Residential Renovation/Addition: This residential project modernizes a brick colonial home in the Lyon Park neighborhood. The home was renovated to better fit the family’s lifestyle, resulting in additional living spaces, bedrooms and a better connection to the landscaped site. The compact design and simple fenestration is organized to respect the scale of neighboring homes. Greene Residence – 2204 N. Kenmore St. 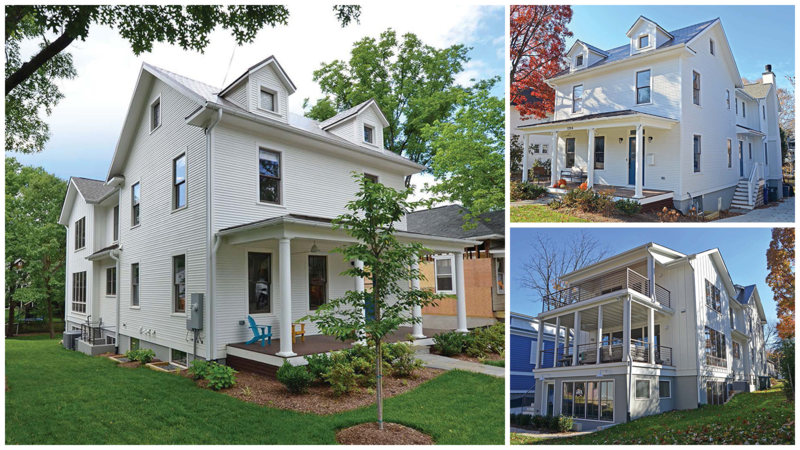 Residential Restoration/Addition: This is a complete restoration of a 1905 wood-framed farmhouse in the Maywood Historic District, approved by the Historical Affairs and Landmark Review Board (HALRB). The 200-foot deep lot slopes naturally away from the street, a unique condition allowing the design to be staggered down the hillside to conceal massing and spaces for the addition. 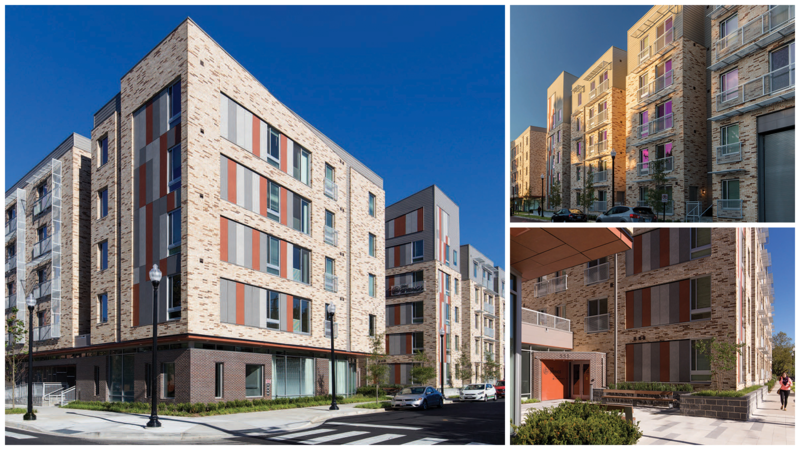 This project incorporates universal design concepts and is certified by Arlington’s Green Home Choice Program. Ten at Clarendon – 3110 10th St. N.
New Construction/Commercial/Residential: This five-story luxury apartment building sits between Clarendon’s commercial area and the single-family housing to the south. The building has a number of creative lifestyle concepts that help connect its residents to the established neighborhood. Open Space/Streetscape: This project features the development of a contemporary vocabulary of streetscape elements, promoting walkability and reinforcing Rosslyn’s character and identity. 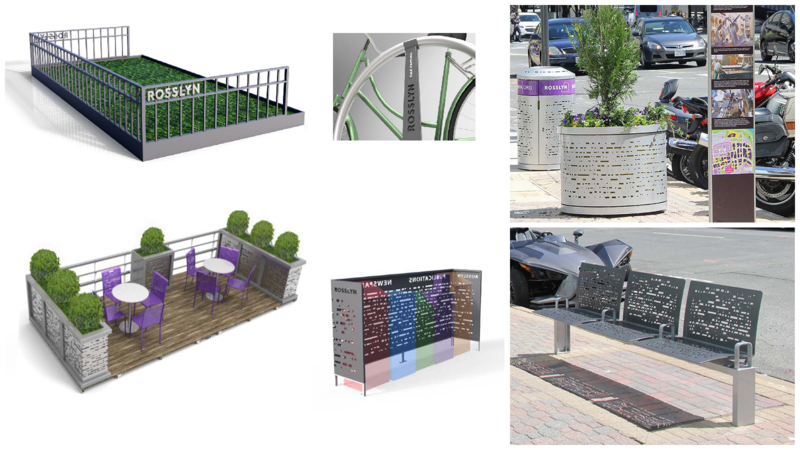 These elements include various seating types, solutions for minimizing clutter, refreshed amenities and a unifying design for Rosslyn’s sidewalks. The Springs – 555 N. Thomas St.
New Construction/Residential: This five-story (104 units), mixed-use, mixed-income apartment community is located in Ballston. The development includes 98 new affordable residential units, and is the new headquarters for the Arlington Partnership for Affordable Housing (APAH). 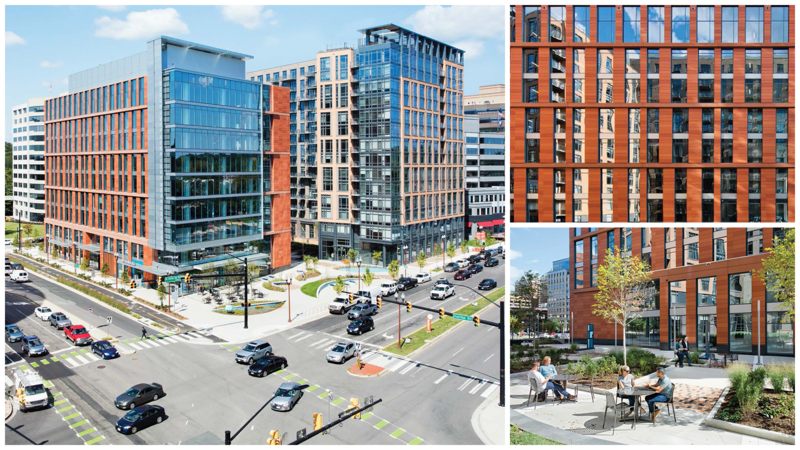 Situated on the western edge of the Rosslyn-Ballston corridor, this project’s massing is designed to bridge the transition between the urban context of Ballston and the surrounding Bluemont neighborhood. 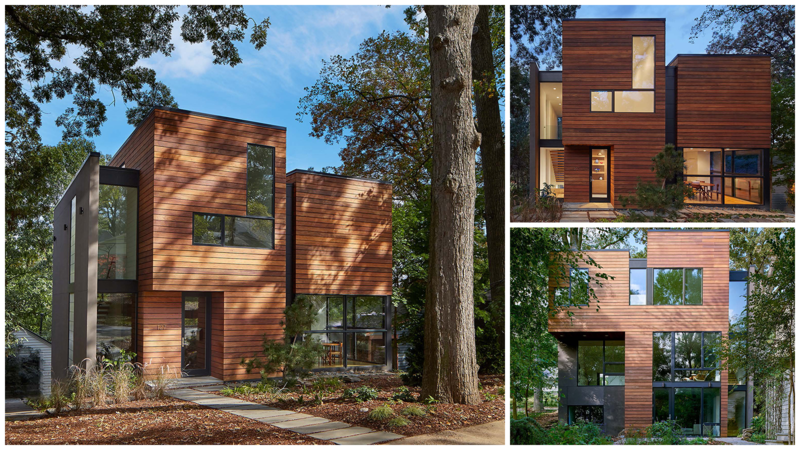 Residential Renovation/Addition: This modern addition is a dramatic counterpoint to the existing house and transforms the living space from within. 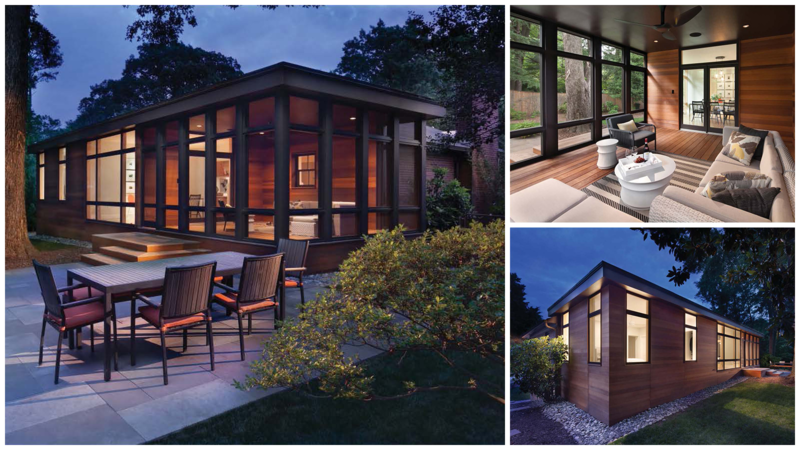 Using large floor-to-ceiling windows, the backyard landscape becomes part of the space for the family to enjoy. Hyatt Place Courthouse – 2401 Wilson Blvd. New Construction/Commercial: This LEED Gold Certified project is bordered by commercial space to the south and established single-family homes to the north. The animated architectural character on the ground floor, streetscape and public art enhances the pedestrian experience along Wilson Boulevard.